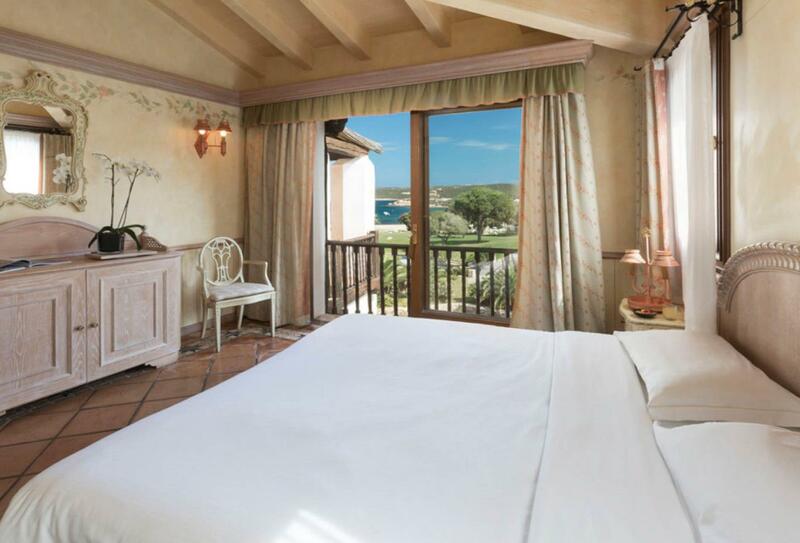 Just steps from the sea and private beach, Hotel Le Palme is location in the heart of Porto Cervo overlooking Cala Pitrizza, an inlet with clear water and pink granite rocks. 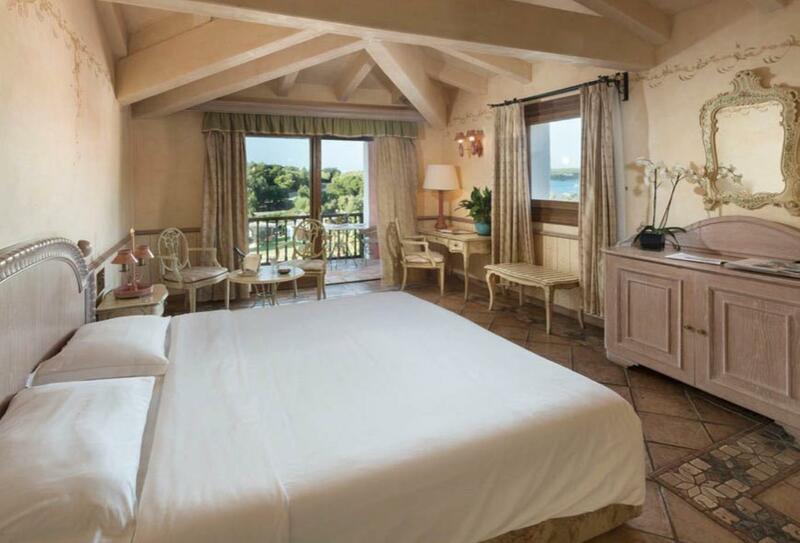 Surrounded by Mediterranean vegetation and canals, the rooms all have their own private balcony or terrace. Activities include natural jogging tracks, beach volleyball, a wellness centre with Turkish baths, a sauna, and massage treatments. 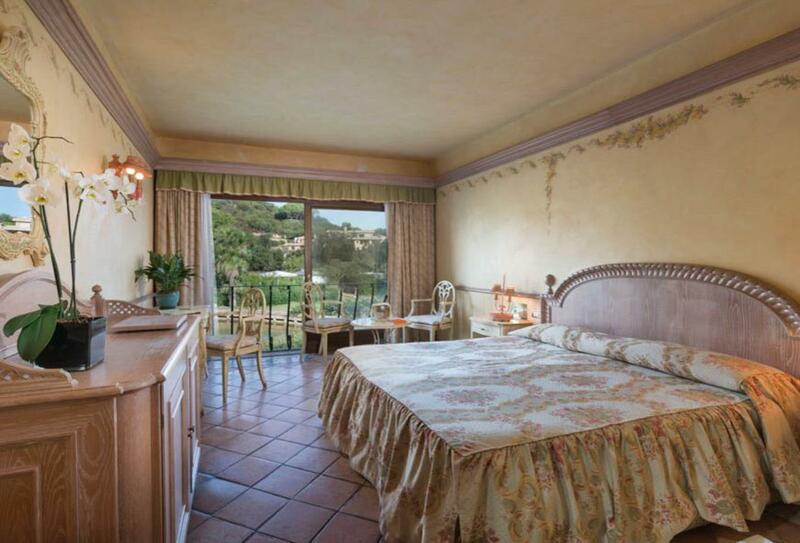 There is a breakfast room overlooking the park and pool, plus a restaurant serving Italian and international cuisine. 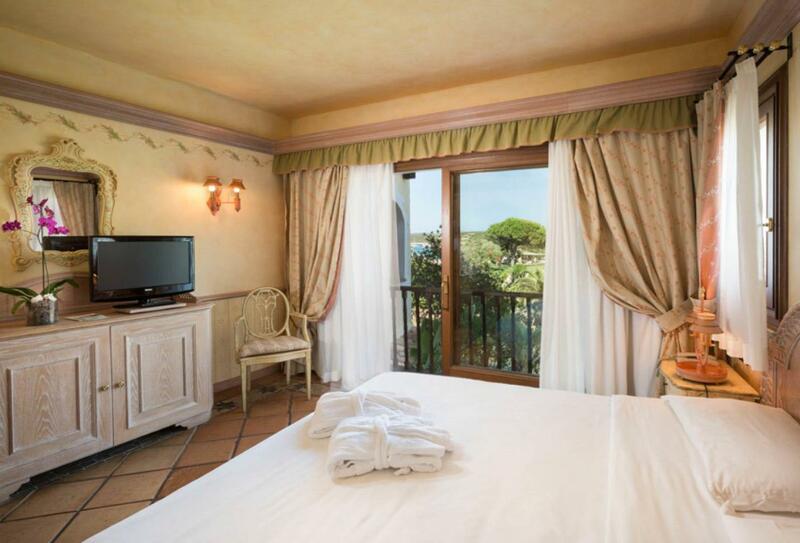 The Classic Room has a private balcony and overlooks the theatre square of gardens. Located on the ground or first floor. 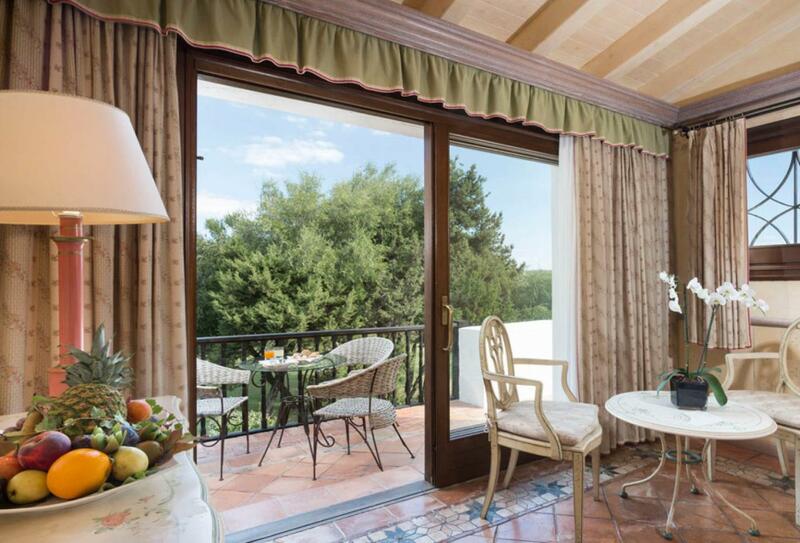 The Deluxe Rooms have a furnished balcony and are located on the upper floors of the hotel to give views of the natural surroundings. This suite has a small living area and a furnished balcony and guests can benefit from the inclusions of the Privileged Service. 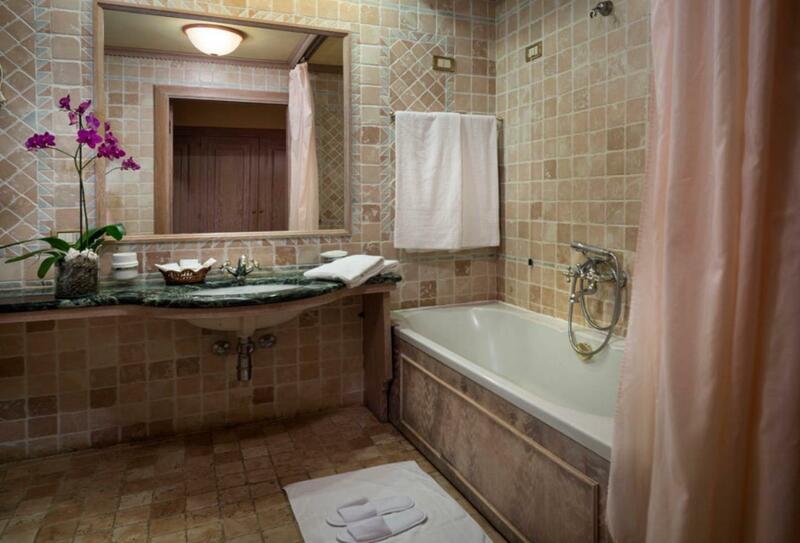 The Prestige room is spacious and is located on the upper floors of the hotel. 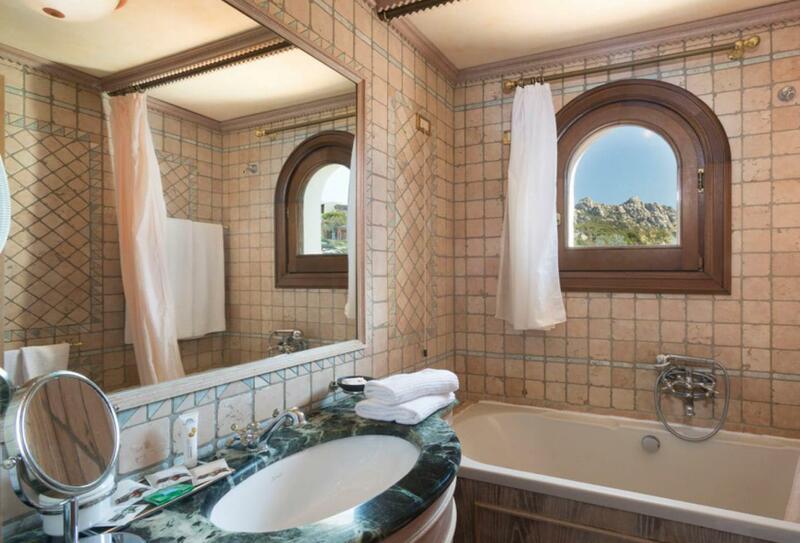 Guests who stay in the Prestige rooms can benefit from the inclusions of the Privileged Service. 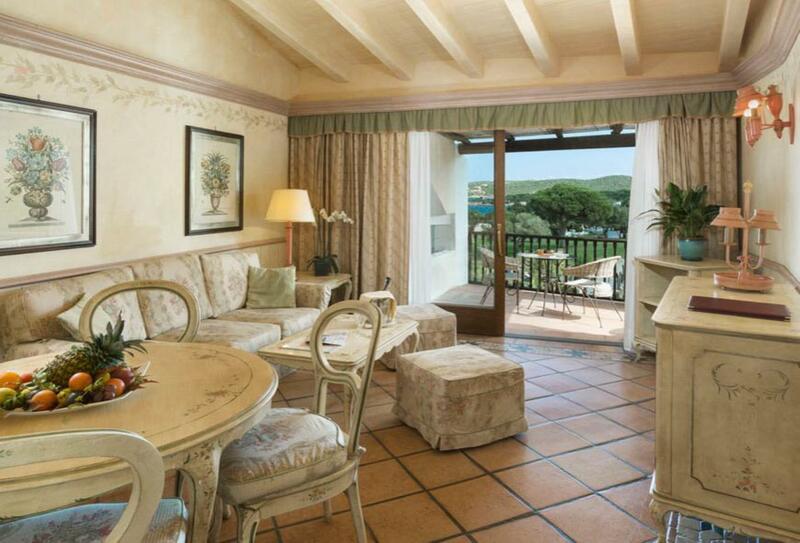 This suite has a furnished balcony, a separate living room and sea views. 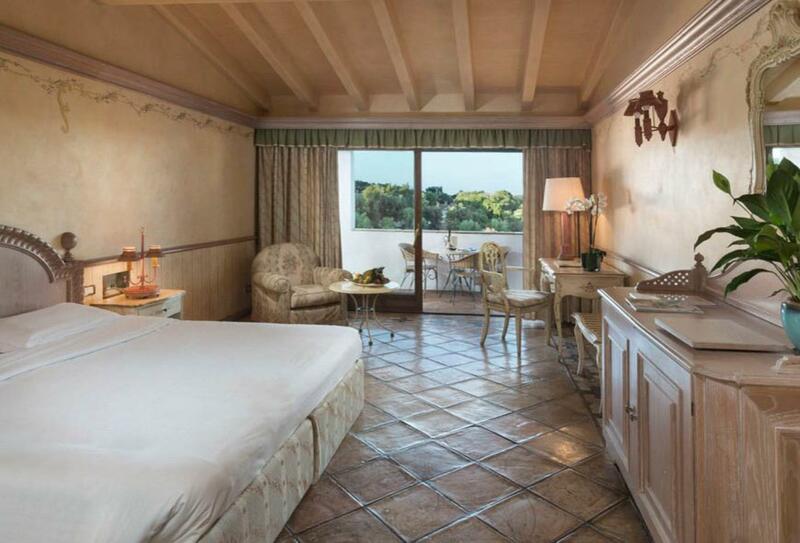 Guests who stay in the suite can enjoy all Privileged Service benefits as above. 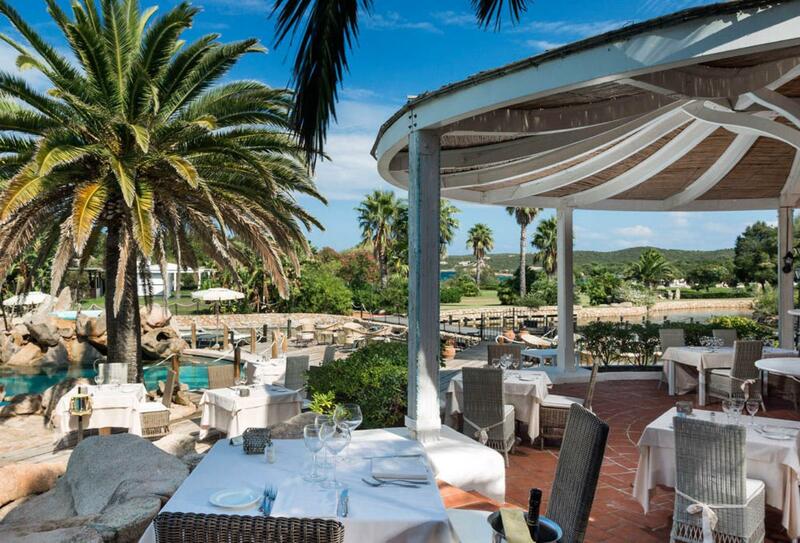 This restaurant serves Italian and international cuisine and is located next to the park and swimming pool. Open for breakfast 07:30 to 10:30, lunch 12:30 to 14:30 and dinner 19:30 to 21:30. On the terrace by the pool, you’ll find a buffet breakfast with sweet and savoury items along with coffee and tea. On the terrace by the pool, the Gazebo Grill Bar serves a selection of cold dishes, grilled seafood, meat and vegetables as well as refreshing beverages. In the evenings, enjoy handcrafted cocktails and a selection of spirits, accompanied by the experienced pianist, Paolo. 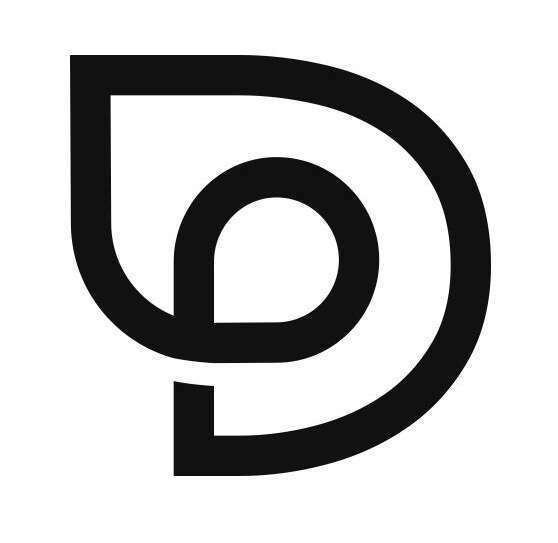 Open mid June- mid September. 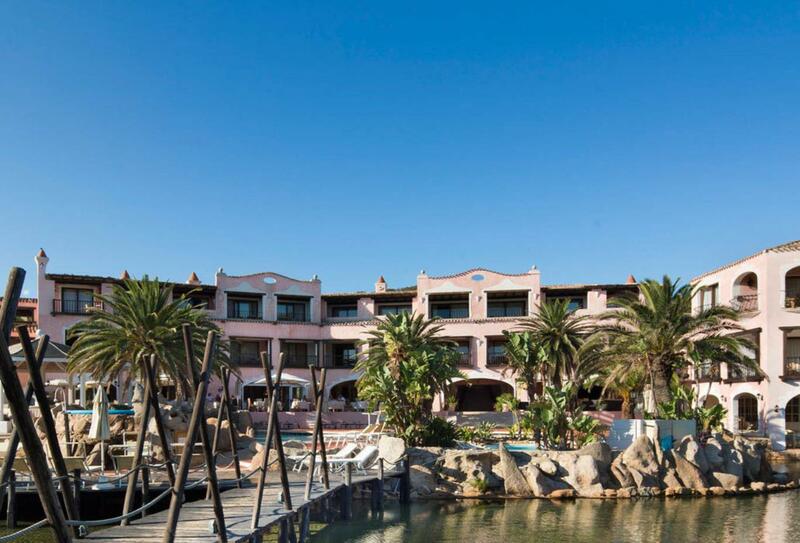 Hotel Le Palme is situated by the beach in Porto Cervo, in the heart of Sardinia. 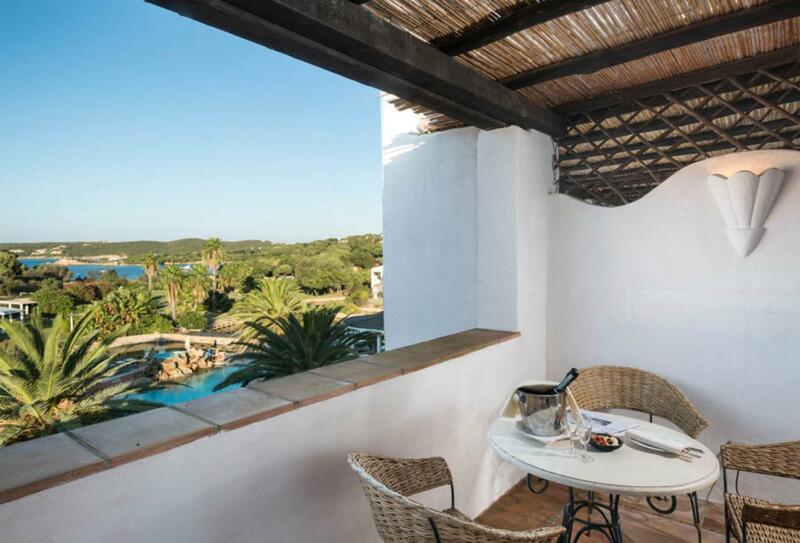 Olbia Costa Smerelda Airport is around a 40-minute drive away. This hotel welcomes children of all ages and offers a Kids Club for 4-12 year-olds during high season. (mid-June to mid-September).